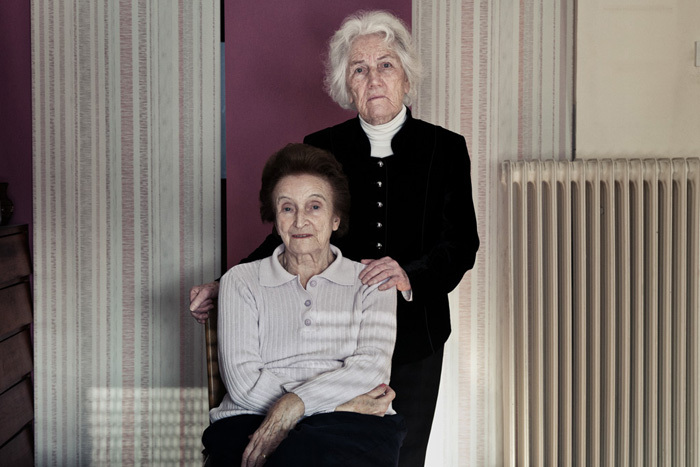 Cousins Sonja Šefman, born Bartol, 1927, and Marija Benčina, born Mohar, 1926, in Retje (Slovenia). During her internment in Gonars, Sonja (sitting) received a postcard from her father who was interned in Padua. Knowing that he was alive meant more to her than any food parcel. On the Isle of Rab they had to remove all their clothes. Marija felt horrible being naked in front of the soldiers.